Create a soothing ambiance in any room in your home with this fountain from Laura McKenzie. With a relaxing, calming rock and flower design, it encourages you to slow down and take the time to rejuvenate as its quiet pump keeps the tranquil trickle going. Trek the globe right in your home with Laura McKenzie’s Traveler! Famed travel writer, television host and producer Laura McKenzie is best known for her unique tips and her tell-it-like-it-is approach. Now, she’s bringing her passion and expertise to home shopping with her very own brand of worldly décor. These products are inspired by Laura’s own travels and celebrate the cultures and stories of varied regions. Each rotation will highlight a different part of the world, including everything from Asian gardens to French countrysides. This allows you to assemble a singular collection or combine products to make your very own eclectic mix. All the while, Laura will take you on exciting adventures by sharing her own travel tales. Indulge your wanderlust and redecorate your space at the same time with the incredibly unique, globally inspired Laura McKenzie’s Traveler. 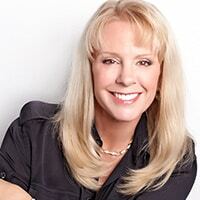 Laura McKenzie is a renowned television host, actress, writer, producer, and director. She has starred in numerous television shows and specials as well as several motion pictures and commercials. Laura has received multiple Emmy nominations and has also won the prestigious Gracie Award from the Alliance for Women in Media for her work in television.